We are proposing a short field trip for a small group of people to Southwest Wales. The accommodation is at Trellyffaint Farm, which comprises two large farm houses, arranged in a courtyard with ample parking. There are double rooms and single rooms. The trip will suit couples or people who are happy to mix and muck-in. We will have the evening meal on Friday at the farm, the lunches in the areas where the archaeology is, and the evening meal on Saturday evening in Newport. 2 nights at Trellyffaint Farm, near the village of Newport. Bed and Breakfast tariff in shared room with private facilities. (Extra nights can be organised). £195 inclusive of tuition, accommodation, breakfast and evening meal on Friday. All sites are free to visit. If there are enough private cars available we could use them to get around. 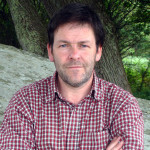 Professor George Nash is a specialist in contemporary and prehistoric art and is currently a Research Fellow within the Department of Archaeology and Anthropology, University of Bristol and Associate Professor at IPT (Tomar), Portugal. Over the past 25 years George has undertaken a number of field projects around the world including Chile, Israel, Norway and Sardinia, resulting in the publication of many papers and books. George is currently involved in the research and conservation of cave sites in South Wales. 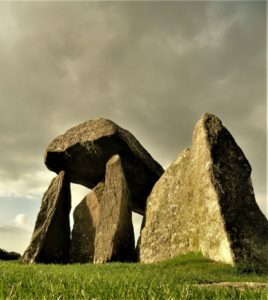 Visit Pentre Ifan and the monuments that surround it. Afternoon tea at Trellyffaint Farm where George’s ongoing field investigations are taking place. Visit Gos Fawr double stone circles and standing stones in the Preseli Mountains. Visit to Bedd y Afanc (mysterious monument) and finishing at monuments on Strumble head.